NTS has extensive experience supporting the invasive and non-invasive medical products market. For the reliability, precision and durability to help keep patients and users safe, we consider medical device testing a purpose and a passion. And as technology advances and medical equipment continues to evolve, the need for professional and expert testing will only increase. 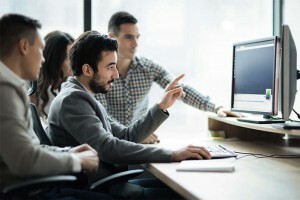 Our extensive network of professionals and lab resources gives us the unique ability to develop programs that provide the most beneficial and cost effective solutions available in the industry. Many of our medical sector customers choose to work with us because of our reputation and premier EMC lab capabilities. From those platforms, our clients often take advantage of other services to help meet their global and product development plans. from small three (3) meters to 10- meters and bigger for unique projects. East facility is fully equipped to perform all other EMC services, such as pre-compliance scans, electrostatic discharge (ESD), radiated RF immunity, electrical fast transients, surge testing, conducted immunity, magnetic H-fields, voltage dips and interrupts, radiated and conducted emissions, harmonics and flicker, and more as your particular project requires. ANSI / RESNA WC2 – Standard for Wheelchairs – Volume 2: Additional Requirements for Wheelchairs (including scooters) with Electrical Systems. What would hospitals and healthcare facilities do without RFID? Today, it is the go-to technology for inventory and equipment tracking; making the important job of matching patients to the right medications faster and more accurate than ever. As this technology and its applications grow, so too does the need for understanding its potential for interfering with other electronic medical devices like pacemakers. Our medical device testing facilities perform RFID susceptibility testing to expose any RFID emissions any RFID issues your product might have. And with the expansion of radio frequency (RF) wireless technologies, it is imperative that your wireless medical device peacefully coexist with other wireless devices in a hospital, doctor’s office, clinical environment, or in the patient’s home. NTS can evaluate your FDA Wireless Coexistence testing needs, develop a test plan, and work with you to submit results to the FDA for review and approval. Perfection is the only level of performance you need in your medical device software and hardware. 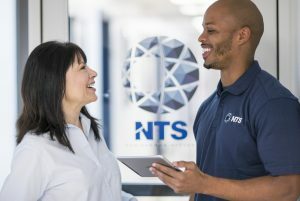 NTS is here to help you achieve it, with certification programs, FDA requirements, software compatibility and interoperability, functionality, performance and usability testing for all types of devices ranging from monitors, handheld electronic devices, computers and peripherals, and more. Our highly skilled engineers focus on identification, documentation and implementation of product design requirements (21 CFR 820.30), as well as design verification and validation (21 CFR 820.30) and risk management process and procedures. NTS will prepare a customized test plan, execute the testing, and assist with submission for FDA approval. Environmental testing for medical devices covers a wide variety of test disciplines. Our engineers can help you determine the best environmental tests for your medical product depending upon its end use. Find out how NTS ensures that you put only healthy, strong and reliable medical devices on the market fast. Request a Quote today.